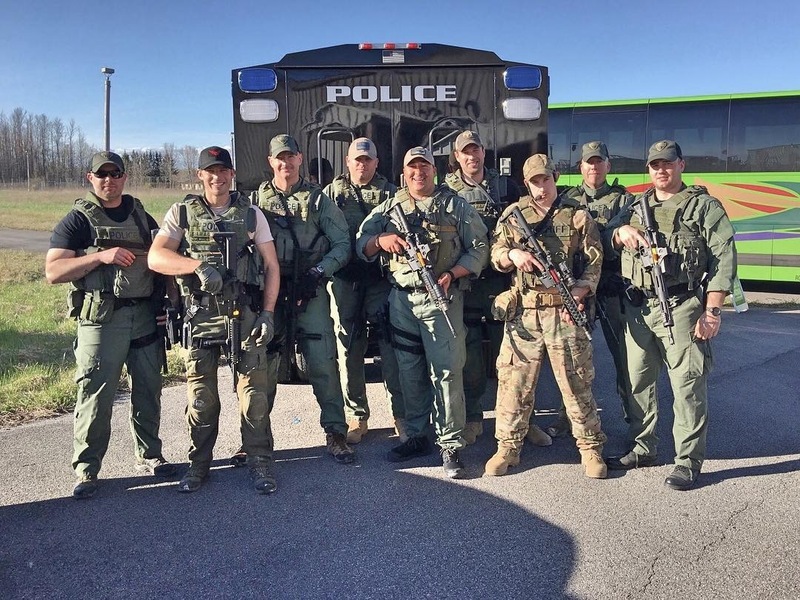 The Tactical Response Team (T.R.T) is designed to provide the island’s communities with a flexible and effective response to unconventional and high risk law enforcement incidents, thereby increasing the likelihood of a safe resolution. Its basic premise is that a select group of highly motivated and well-conditioned officers, specially equipped and trained to function as a tactical unit in a variety of situations, can be more effectively and safely employed for critical incidents which exceed the capability of standard police resources. Incidents to which the team may respond include but are not limited to: hostage situations and negotiations, barricaded suspects, sniper situations, active shooters, service of high-risk warrants, searches for armed subjects, VIP protection, civil disorder and other special events. Officers James Craig – Commander, Curtis Chandler, Jake Sylvia and Department Assistant Maria Ventura represent the Edgartown Police Department on the Martha’s Vineyard Law Enforcement Council Tactical Response Team.